Albertans appear willing to pay more for marijuana, now that it's legal. After legalization, the average price for pot in this province — both legal and illegal — jumped to $9.07 per gram. That's 12.8 per cent above the national average price. In British Columbia, by contrast, average prices barely changed with legalization, growing just slightly to $7.15, up from $6.89. These numbers should be taken with a grain of salt, Statistics Canada cautions, because they are self-reported by marijuana purchasers. 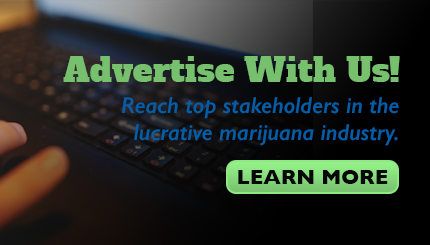 But they represent the best available information on what people are paying for cannabis from both black-market and above-board sources. The national data agency has been asking Canadians to voluntarily — and anonymously — disclose how much they pay for pot in their local area as part of what they've dubbed their "StatsCannabis" database. The database received 19,443 submissions prior to legalization last fall and, on average, the data suggests Canadians were paying $6.85 per gram for dried cannabis before it became legal on Oct. 17, 2018. Since then, the average price has increased to $8.04, based on 1,129 submissions from Canadians, who reported both legal and black-market purchases. The submissions are all screened for quality, and only those deemed reliable enough to pass Statistics Canada's data-cleaning process are included in the final numbers. Still, the agency notes the numbers don't offer a perfect representation of reality, as the data "may still be subject to statistical bias because the sample is self-selected and the number of responses is limited, particularly in smaller provinces and in the territories." Alice de Koning with the University of Calgary's Haskayne School of Business says the numbers are interesting but she's waiting for more time to pass to get a clearer picture of the impact of legalization on the cannabis market. "I think it's really too soon to tell because it's six months since legalization," she said. "It's just premature." Still, she's not surprised to see prices on the rise in the preliminary data. "Given what the regulatory environment is expecting of [cannabis retailers], it's very logical that the price would go up," she said. The various quality controls, specific packaging requirements and other regulations add to the cost of doing business as a retail cannabis vendor, she said, and those costs get passed on to the consumers. "All of that costs more than the illegal drug distributor who's using a Ziploc bag and a pen to distribute his product — or her product," she said. Nationally, Statistics Canada found people who bought legal marijuana paid an average of $9.99 a gram. That's 57 per cent more than those who bought from illegal sources at an average price of $6.37 a gram. Garrett Popadynetz with Four20 Premium Market in Calgary says retailers like him have been facing challenges ranging from constricted supply to limitations on retail licences to higher input prices. But he expects the market will even out with time and the prices for legal cannabis will start to come down. "We're not even six months in to the legal market," he said. "We're still going to see economies of scale from licensed producers, suppliers, as well as retailers, and all of those things will help decrease the cost of cannabis overall." He also believes future retail growth in products like oils, capsules and edibles will help retailers compete with the illegal market.